There have been many changes and new developments in the construction industry since the start of the year. As with any industry that experiences sweeping changes, we keep a sharp eye on how those issues can affect our clients. With the first issue of 2018, we highlight key items that should be on the radar, including the Pennsylvania Contractor and Subcontractor Payment Act, the solar industry tariffs, increase in natural gas investments, tax bill implications, North Carolina Department of Transportation funding, and an explanation of a key court ruling that will affect the industry. As with each issue of The Site Report, we encourage you to let us know if there are topics you would like us to discuss. Finally, calling all risk managers, construction professionals and attorneys - Do you want to "Stay in Tune With the Current Construction Climate?" If so, join Spilman's DRI leaders Stephanie Eaton and Matt Georgitis at the upcoming Defense Research Institute's Construction Law Seminar in beautiful Nashville, Tennessee on April 25-27. The seminar is open to anyone, not just DRI members. In-house counsel and claims professionals are eligible for free registration. Click here for the seminar brochure and registration information. We hope to see you there! Pennsylvania is on the verge of a tougher contractor payment law that adds remedies including suspension of work, anti-waiver provisions, and mandatory payment for work successfully completed. These measures were passed last summer with Pennsylvania House Bill 566, which garnered overwhelming bipartisan support. The bill is expected to be voted on by the Pennsylvania Senate in 2018. In fulfilling his campaign pledges to American manufacturing and fossil fuel energy companies, on January 22, 2018, President Trump approved a 30 percent tariff on imported silicon solar cells and modules. How is this going to impact the solar power industry? There has been a significant increase in the number of new natural gas pipelines projects being built in the last two years in order to satisfy the nation's energy demand. Despite these new projects, there is still a critical need for not only more natural gas pipelines, but for an overall upgrade of the nation's energy infrastructure. The American Society of Civil Engineers evaluates the country's infrastructure every four years. In its last evaluation of the condition and performance of the nation's energy infrastructure, it gave the system a D+. The Tax Cuts and Jobs Act (the "Act"), signed by President Trump on December 22, 2017, changed the manner in which taxpayers can approach the overall structure of their businesses. The Act includes multiple provisions that will afford taxpayers an opportunity to take advantage of generous depreciation rules that will ultimately decrease the costs of individual projects, as well as maximize the profitability of the overall business. For those in the construction sector, there are three important changes that are of particular interest: bonus depreciation, Section 179 deductions, and qualified improvement property. Infrastructure Construction Opportunities on the Horizon! Drivers will see more "Road Construction Ahead" signs over the next decade, which means BIG opportunities await infrastructure contractors and suppliers. How big? The North Carolina Department of Transportation was able to fund a total of 1,367 projects in the final 2018-2027 State Transportation Improvement Program ("STIP"), which is expected to exceed $9.6 billion in spending. The final STIP increased the number of projects by 167. Generally, only signatories to an arbitration agreement can compel one another to arbitrate their claims. However, in certain situations, a nonsignatory may take advantage of an arbitration agreement between other parties. One such situation arises when a signatory to an arbitration agreement is "equitably estopped" from refusing to arbitrate its claims against a nonsignatory, under the doctrine of equitable estoppel, concepts of fairness prevent the signatory from refusing to arbitrate its claims. In Smith Jamison Construction v. APAC-Atlantic, Inc., the North Carolina Court of Appeals recently clarified what types of claims by a signatory against a nonsignatory give rise to equitable estoppel. The key issue, according to the Court of Appeals, is whether the claims rest on the terms of the contract containing the arbitration clause at issue. During Governor Corbett's vast career, he has encountered a wide variety of issues and industries. The construction industry is one where his backgrounds in politics and the private sector have given him much insight and experience. 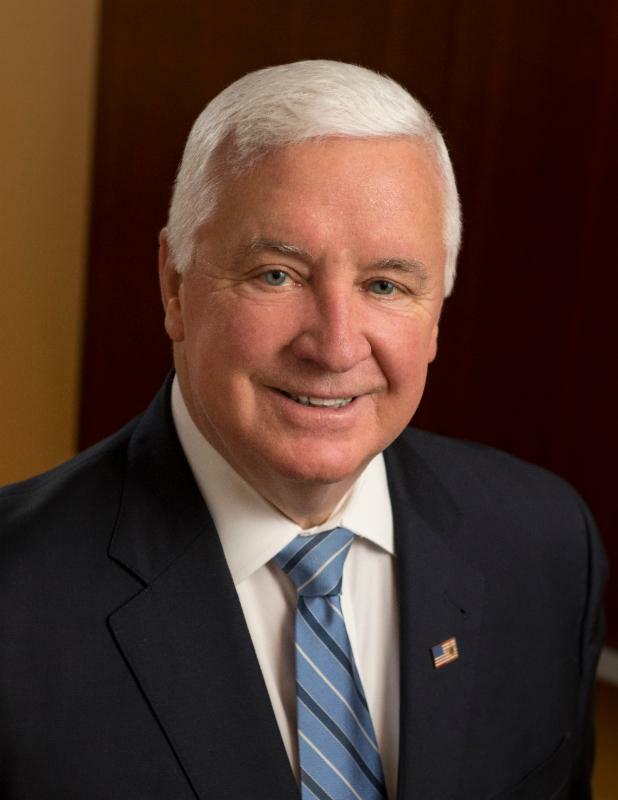 As the former Governor and Attorney General of Pennsylvania, Governor Corbett has served as a key advisor to U.S. presidents and governors, drafted and promoted legislation and administrative rules before the Pennsylvania Legislature and Executive Branch, monitored public policy and legislative developments regionally and nationally, provided guidance on state government systems and processes, and has a broad knowledge of government structure and relationships. In addition, he served as Assistant General Counsel for Government Affairs for Waste Management, Inc. and as United States Attorney for the Western District of Pennsylvania. He is an adjunct faculty member in environmental law for St. Vincent College and a distinguished lecturer at Duquesne University School of Law. He is a proud former member of the 28th Infantry Division, Pennsylvania Army National Guard, and a graduate of Lebanon Valley College and St. Mary's University School of Law. We are very pleased to have the Governor on board and look forward to offering his experience and insight to our clients. This is an attorney advertisement. Your receipt and/ or use of this material does not constitute or create an attorney-client relationship between you and Spilman Thomas & Battle, PLLC or any attorney associated with the firm. This e-mail publication is distributed with the understanding that the author, publisher and distributor are not rendering legal or other professional advice on specific facts or matters and, accordingly, assume no liability whatsoever in connection with its use.